Electrofishing | Biological Services | Keystone Environmental Ltd.
Keystone Environmental has experienced biologists and technicians that are certified under the provincial WorkSafeBC requirements to perform electrofishing, a practice of safely salvaging and relocating fish in areas where in-water work is required. 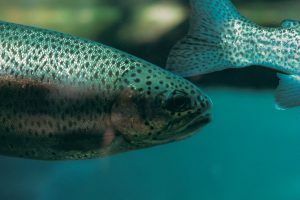 Our staff have acquired the necessary regulatory permits to allow projects to proceed without impacts to fish. Electrofishing involves using a small amount of electricity to momentarily stun fish at a site. They are immediately caught in a net so they can be identified, weighed, measured and released safely back into the water. Trained staff carry backpacks or push a small boat, and together, teams catch, identify, record and release the fish species.